Two issues split the Titanic camp into warring factions: salvage and the Californian issue. 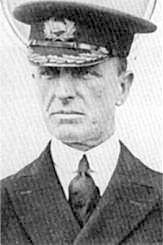 The latter issue involves the role of Captain Stanley Lord of the SS California. On the night Titanic went down in 1912, his ship was in the vicinity. Due to the ice on the ocean, he had decided to shut down and wait till morning to proceed. His wireless operator had gone to bed and while rockets were spotted he did not believe it was a distress signal. In the aftermath of the tragedy, Captain Lord came under fire for failing to act. It was something that would haunt him for the rest of his life. The two camps, the Lordites (pro-Lord) and the anti-Lordites (against Lord) have very different perspectives on the role of Captain Lord. The Lordites argue that the enquiries were hasty and a rush to judgment. The anti-Lordites argue the enquiries got it right, that Lord failed to act when the rockets were sighted. Now comes a new book that will likely reignite the debate. Daniel Allen Butler’s The Other Side of Night, according to the Scotsman makes a startling claim that Captain Lord was a sociopath. According to the article, Butler had commissioned a series of clinical psychologists to examine Lord’s sworn testimony as well as reports of his actions both before and after the tragedy. The article notes that there were allegations that the officers under Lord were coerced to testify to support his position and that the ship’s log, which would have proved the exact location of the California, disappeared. And Butler argues Lord’s story changed over time while others stayed the same. Add to allegations he falisified entries in the logbook and the fact he expressed no sympathy for the victims over the years lends credence, Butler argues, that Lord was a sociopathic personality. Well that is surely going to get those who support Lord fuming and dashing to their keyboards to type out responses. As for the book, I have not read it so I cannot say whether it is good, bad, or just okay. However relying on psychologists to render an opinion about a historical person is dubious. There was a trend in history many years ago to apply the techniques of psychology to historical figures. The problem is that you do not have the person right there so that you can make a proper clinical analysis. In the case of historical figures you have to rely on what was written about them or what they wrote about themselves. Certainly you can gain insights but it is far from a proper analysis or even a diagnosis. Without the person right there it is difficult to render a truly objective opinion as to what the true mental state was. A random grab of the headlines with Titanic in it…. Last summer the P&O cruise ship Pacific Sun was caught in a vicious storm off New Zealand. 77 people were injured as the ship headed home through 20-foot swells and winds around 50-knots. Now a report about to be issued reveals what passengers experienced during that harrowing time. According to the New Zealand Herald, the report states it was “pure good fortune” that passengers and crew were not more seriously injured or killed. In perhaps a great understatement, the report states “It says procedures for securing furnishings following an earlier accident – in which another cruise ship’s equipment injured people – were not “sufficiently robust.” Injuries to passengers were broken bones, cuts, and bruises. Seven were seriously hurt and one passenger had part of a finger amputated. As a result of the ship rolling so badly, the two spa pools were emptied of water creating more hazards. Muster stations were damaged resulting in passengers being sent back to their cabins. But it gets worse, according to the newspaper, as to why the ship was not prepared to handle this kind of situation. 1. The captain was in a hurry to get back to Auckland in time for the next cruise. By failing to heave-to earlier he put the ship in the ship in the worst sea conditions. This was not deliberate but inadvertent. 2. The bridge crew was unable to see or monitor the swells when it was dark. 3. Two of the four muster stations were rendered useless because of the damage and mess caused by unsecured furnishings. This is significant since these muster stations are where passengers are to go to in an emergency. 4. The stabilizers used to keep rocking at a minimum were inoperative. One was worn out and the other useless at slow speeds the ship was traveling at. 5. Crew had lifejackets but apparently the signal for passengers to put them on was never given. Apparently this is a normal operating procedure (giving the alert first to the crew then usually followed, if needed, to the passengers). Most of the injuries came by falls, and unsecured furnishings toppling on to people. “Had Pacific Sun’s furnishings and fittings been sufficiently secured so as to resist moving when she heeled, the number of injuries would have been greatly reduced,” the Marine Accident Investigation Branch report says. According to the Herald, P&O states that the heavy objects have now been secured and that the experience provided a “valuable insight” for the company. Night vision goggles are now being deployed (or have been deployed) so that bridge crews will be able to see outside at night. And of course better maintenance was suggested by the report which, of course, P&O says it will do. Now to be fair this was an unusual situation. It is not every day cruise ships sail into such intense storms. What surprises me is how unsecured the furnishings were. I know that major cruise ships have stabilizers to prevent the ship from rocking too much but all it takes is very severe weather to turn them into dangerous projectiles. Yet it would seem common sense to secure them to minimize harm to the ship, passengers, and crew. Hopefully lessons have been learned from this incident. It must have been scary though to see tables, chairs, gaming machines or other things suddenly move across the floor (or in some cases likely tossed considering how big the swells were). No wonder some passengers later said later they thought at the time they might not make it out alive. Alternative History: What if Titanic Sinking Was A Conspiracy? AuthorHouse sent out a press release on 22 June announcing the publication of “A Cold Night in the Atlantic” by Kevin Wright Carney. Serial numbers that do not match Titanic and a stash of gold found in the wreck lead to the discovery that conventional history got it all wrong. Due to accidents and serious questions about Captain Smith, the RMS Olympic is not considered seaworthy. So in 1912 the White Star Line decided to switch the ships. Titanic became Olympic and Olympic became Titanic. And it was decided to sink the ship to collect insurance. Alas it all falls apart when the plot is uncovered and the sinking occurs prematurely thanks to an iceberg. “A truly unique and thrilling novel, “A Cold Night in the Atlantic” cleverly breathes new life into a piece of American history,” says the press release. That will come as a surprise to Robin Gardiner and Dan Van Der Vat who wrote the non-fiction book “The Titanic Conspiracy;Cover-Ups and Mysteries of the World’s Most Famous Sea Disaster (1995, Carol Publishing). Their book examines the motivations of the people involved to switch the ships and argues that something nefarious did occur. The book was and still is dismissed by most Titanic historians as nothing more than tabloid fodder. It seems to finally have found its home in a fictional novel, which is probably where it ought to be. Gardiner and Van der Vat will likely be reading the book as well kicking themselves for not doing the same thing–or sue Carney alleging he used their “facts” to make his book more legitimate. Down the road I can see a miniseries on a cable network (probably Sci Fi Sy Fy). Every summer I read news stories about the Titanic Adventure Slide. Recently I saw this at a little league event and the kids really liked it. The picture really does not do it justice as to how big it really is. It was one of the most popular attractions at the event. There are two models for rent. The small one is 27”H X 16’W X 38” L. The other is 33’H X 21’W X 51”L. But both are 33’ tall making them impressive to look at. If you live like one of those housewives in New Jersey and have a large open area, you can buy them but be prepared to shell out some serious dough. The 27’ Model costs $10, 458 and the 33’ one is $12, 988. You have to give the folks over at the Hammacher catalog credit. Each year they try to find very pricey toys for those with disposable income and no concern for our troubled economy. And this is no cheap toy but a six foot, 1:150 scale model of the famous ship with three propellers powered by three 550-watt electric motors. According to the description, the model has been “Painstakingly reproduced at 1:150 scale and involving over 400 man-hours in its assembly, the model is constructed from over 300 individually handcrafted pieces, including sculpted cedar strips that overlay the molded fiberglass hull, white maple planks (stained to replicate the color of the originals) for the decking, and mahogany for various superstructures.” It comes with two rechargable batteries that allow for three hours of cruising power and allowing the model to cruise at 5 mph on calm water. Remote requires eight AA batteries (not included!–you would think for the money they could toss them in for free). The Authentic 6 Foot Remote Controlled RMS Titanic. The recent issue of The Titanic Commutator (Titanic Historical Society, Vol 33, Number 186) reports of a recent attempt to sell a fake Titanic envelope. The envelope was put up for sale online at the UK eBay site with an asking price of £750. The letter appeared to have sent from RMS Titanic to a Mrs J Woods, Altringham, Manchester. But according to Paul Louden-Brown it is a very clever fake. The stamp used on the envelope appears at first glance to look legitimate but a closer examination reveals it is likely a stamp issued between 1934 and 1936. The King George stamp of 1912 looks similar to 1934-1936 but there are important differences. There was no solid color behind the King’s head in 1912 but rather lines. Also the 1934-1936 stamp turns out to be a rare stamp used for only two years. Brown also notes the paper used is typical of the waxed paper used after World War I rather than what was in use in 1912. Also the handwriting style Brown notes is more typical of the years after World War I. Other things such as the postmark being too large and the lettering too thin point to it being a fake. And it is not difficult to fake franking marks by using a heavy object. The lesson here is simple: be very careful in buying Titanic memorabilia. Buy only from reputable sources that have authenticated the items as being genuine. And never ever buy such memorabilia sight unseen over the Internet. In the Titanic FAQ posted on this site, I noted that several years ago the movie A Night To Remember had been put on a computer disc and viewable through the dvd player on your computer. But I was not sure that it had been converted to a full movie dvd. As it turns out, it is available as part of the Criterion Collection. The dvd is well worth getting for several reasons. First, the digital transfer is excellent with clear images and sound. Second, the this dvd like the computer version has the audio commentary by Don Lynch and Ken Marschall. That alone is worth the price in my book. They give a running commentary on every scene putting it all in context for those new to Titanic and those who have been avid enthusiasts for years. Finally there is a documentary called “The Making of A Night To Remember” which has some rare behind the scenes footage. I have seen a lot of Titanic movies over the years and I still come back to this one as the best. I know many out there like Cameron’s Titanic, which is a fine movie in its own right. But it is a fictional story set in a historical context while A Night To Remember is based upon Walter Lord’s book of the same name. Remember to get the Criterion Collection and not just some poor quality copy that is floating out there. I got mine at Amazon but I imagine other places sell it as well.